Lamenting the innocent death of old school Castlevania? The Souls series has something familiar for you to try. I didn’t grow up with the old-school Castlevania games, though they were around when I was young. The few times I rented the original or one of its immediate sequels, I was destroyed by the difficulty and, generally, didn’t have a good time. Like many people, I rediscovered the series after it switched to more of an easy RPG format after Castlevania: Symphony of the Night. While I enjoyed the newer metroidvania style, and even liked the first Castlevania: Lords of Shadow, I never really had a chance to play classic Castlevania, the hard-as-nails platformer that Castlevania purists had been clamouring for since the switch to easy RPG. That all changed a few years ago as the old Castlevania games began hitting the 3DS and Wii U’s Virtual Console service just around the same time I was hankering for exploring some classic gaming. I’d heard people call Demons’ and Dark Souls modern successors to Castlevania before and I had assumed it was simply because of the gothic setting. I was wrong, so today, I want to sell you on the links between the classic Castlevania experience and the Souls series, including the upcoming PS4 exclusive – Bloodborne. Castlevania was a platformer released in the NES at a time when platformers were the dominant genre in gaming. When I first replayed it after so many years, I considered it to be a ho-hum platformer that was able to reach such cultural heights only because of the Halloween-esk charm associated with its design, like being able to fight the Mummy, Frankenstein, or Dracula. It was difficult, sure, but most NES games were, in order to elongate the short run time. This view point stuck until last week when I was replaying Dark Souls 2 immediately after finally getting around to playing Castlevania: Dracula X on the SNES Virtual Console. Let me explain. 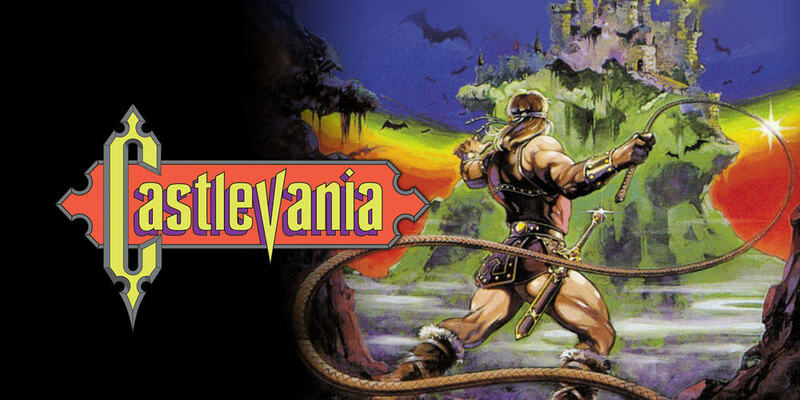 The original Castlevania did a few things different from most platformers of the day. Your jumps could not be changed mid-air, meaning that you were utterly committed on your trajectory even if that was going to land you in bottomless oblivion. Then there was the sub weapons. These were special weapons that allowed you a more powerful attack with your whip. After all, the whip had a slight delay to attacking and a limited range, which made sub weapons like and arcing axe or a boomeranging cross to pay dividends against Dracula’s foul horde. But what held Castlevania together was its level design. Everything was set up to punish you, but in a totally fair way. Castlevania did that thing that old games used to do before tutorials took over, which was to teach you the game organically. For example, the first time you run into Medusa Heads – endless respawning enemies that move in an unchanging wave pattern – you’re on a flat narrow expanse. However, the next time, there are bottomless pits everywhere. The game took a second to introduce the enemy and its pattern to you before showing you how effective it could be if not properly predicted. This kind of design is heavy loaded into the game. And it’s important. Old school Castlevania are hard games, but they don’t exist entirely to punish you like say Ghosts and Goblins. These games are about empowerment, using strategy and skill to overcome meticulously designed challenges. The rooms combining various enemy types all with different attack trajectories and timing? They are a penultimate challenge, forcing players to combine all of the experience they’d accrued in the past with smart sub weapon growth and nail-biting precise jumps. And it was glorious. That’s not even getting to the focus on boss encounters. Every Castlevania stage is hard enough to plow through (even easier Castlevania games like Super Castlevania IV can give a new player nightmares), but the real core challenge of the game are the horrifying bosses just waiting for you and your ever-diminishing health bar at the end. These are pattern-based bosses, which once again forces you to learn and adapt – not an easy task with limited lives. They are all beatable, and, when you get hit, it’s your fault for making a mistake instead of the game. Actually, good players can breeze through most Castlevania games without a care in the world. For the new and the average, however, you will die – a lot. Which brings us to the Souls series. These are often lauded by fans and reviewers as among the hardest gaming experience you can have right now. I don’t actually think this is entirely true, mind you, but the sentiment is there. Why are these games so hard? Because they punish you for your mistakes and are littered with tests that push you into making them. You see three armoured knights in front of you. In a game like God of War, this would be an opportunity for a cool combo. In Dark Souls, however, it is a puzzle. You have all the tools you cultivated along your way at your disposal, and cowardice is the better part of valour if all else fails. Maybe you’ve been focusing entirely on that big axe of yours, ignoring stats for spells or bows. Maybe you might be skilled enough to take on all three knights, but death would result in losing almost all of your souls (currency), which you hadn’t cashed in for quite some time. Then you think, I have a throwing knife in my inventory. You clutch the blade and toss it at the nearest knight. It clinks impotently on his shield, doing bare minimum damage, but the knight stirs. Success! The knight comes alone, ready to be murdered before you repeat the process with his fellows. That is why Dark Souls is so good. More importantly for this article, it also shows off why it is exactly like Castlevania, though using a different medium. There isn’t much of an inventory in Castlevania games prior to Symphony of the Night and you don’t have many choices on how to approach a situation. However, the core concept is the same. You see a threat ahead of you and you assess the best way of proceeding. In Castlevania, that means precise jumps, proper distance for whipping, and good sub weapon use. In Dark Souls, you have potentially more tools, but you’re still calculating the best way of getting around a tough situation that was placed there specifically to challenge you, not to have you whiz by without noticing it like in most games. It’s that calculated ‘stop, how do I beat this’ that sets the two so far apart from their peers, who would rather let you win than make you think. Bossess too. A calculated examination of how they move, what weaknesses they possess, and the best way to get in while they aren’t filling the room with fire is infinitely superior than playing Kratos and whacking at them mindlessly. If you run forward, whip’s blazing against Death in any of the old school Castlevania games, you will get cut down by scythes. That’s a fact. Learning patterns, having the right weapons, and the skill to make use of that knowledge is what beats games. And what’s the pay off of such a hard game, you might ask? Extreme empowerment. Games like Dynasty Warriors try to empower you by making you an unstoppable killing machine. This works, to an extent. But nothing makes you feel like you’ve accomplished something more than when you’ve brought down something huge using your skill alone and what little you were able to cram into your stats before the big fight. When you’re finally able to speed run Castlevania, making perfect jumps and breaking monsters like they were nothing, you can remember all the deaths that led you to that expertise and smile. Sure, giving you game breaking abilities would lead to the same result, but the journey is worth so much more. As I said at the beginning, there are fans who lament the watering down of the difficulty curve in Castlevania. And it’s true. In most modern Castlevania games, you can brute force your way past just about anything without really thinking about it. I also doubt that classic Castlevania will make a return. It’s very hard to put the genie back in the bottle. However, the spirit of Castlevania is alive and well in the Souls series, and, seemingly in the upcoming Bloodborne as well. If the success of these games can tell us anything, it’s that gamers are willing to flock to a game where challenge and skill run hand and hand. Is The Evil Within a Worthy Successor of Resident Evil 4?